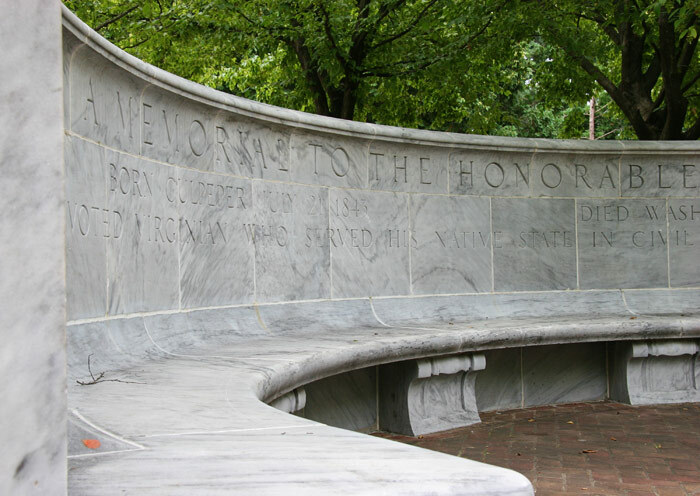 Answer: The Whispering Wall, as it is called, is a marble monument and fountain dedicated to the memory of Frank Hume, who fought in the Civil War, was wounded at Gettysburg and went on to serve in the Virginia House of Delegates. 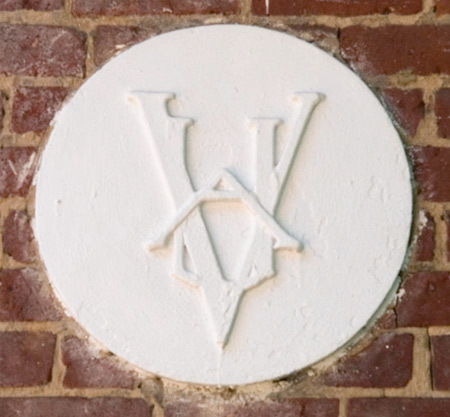 The monument, located near Newcomb and Monroe halls, was designed by Edmund Campbell, who at the time was dean of the UVA Architecture School, and dedicated in 1938. The nickname comes from the wall’s ability to amplify sound so that even whispers carry from one part of the wall to another. Congrats to Jon Chananie (Col ’01, Law ’06) for correctly answer July’s “Where Am I?” trivia. 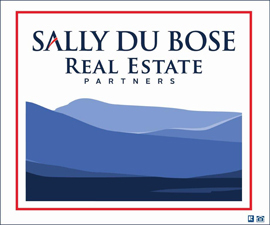 This photo ran as part of our March 2011 e-newsletter. The answer? On the new terrace in front of the UVA Art Museum. 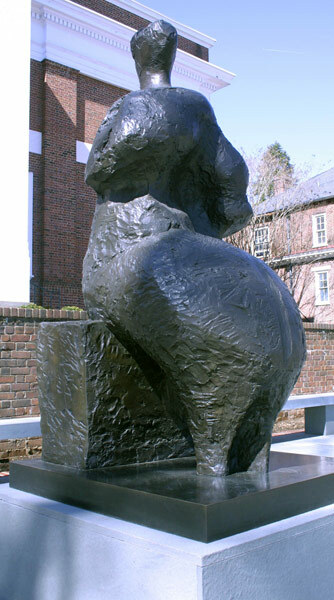 This bronze sculpture by Henry Moore, entitled Seated Woman, is a loan from the Henry Moore Foundation in England. 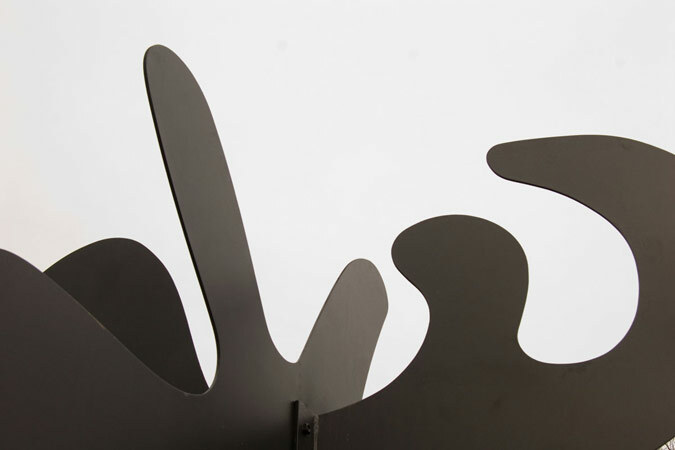 The over life-sized figure will join Alexander Calder’s Tripes as the second example of a modern masterpiece to figure prominently on Grounds. Congrats to Barbara Powers (Arch ‘83) who correctly answered the question. She received a $25 gift card to the UVA Bookstore. The answer? Buckingham Palace on Carr’s Hill. Congrats to Miles Morrison (Col ‘09, Educ ‘10), who correctly answered December’s “Where Am I?” Miles received a $25 UVA bookstore gift card. The answer? South Lawn Commons, in between Gibson Hall and Nau Hall. Congrats to Clay Gibson (Col ’12), who correctly answered September’s “Where Am I?” Clay received a $25 UVA bookstore gift card. 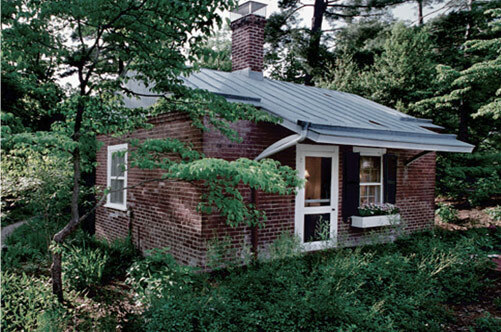 Congratulations to Pat Temples (Educ ‘72), whose name was chosen at random from the number of readers who correctly identified this photo in our July 2010 e-newsletter. She wins a $25 UVA Bookstore gift certificate. October 2009 - Where Am I? 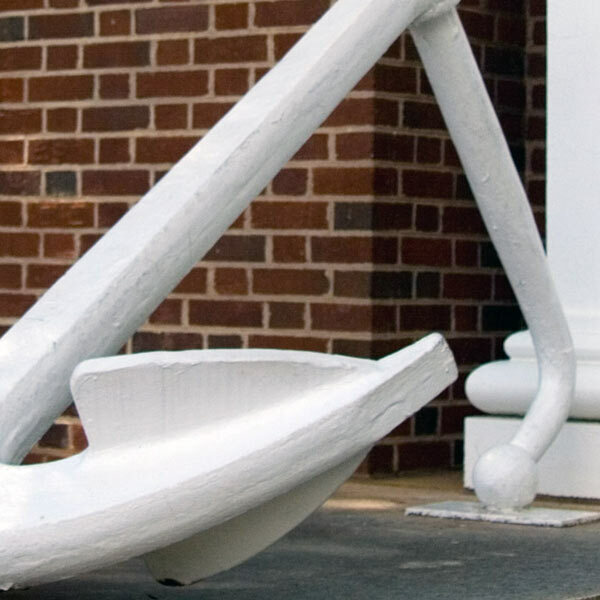 The anchor is one of two outside the entrance to Halsey Hall, which is named in honor of Fleet Admiral William F. “Bull” Halsey. He studied medicine at the University of Virginia from 1899 to 1900, and returned to Charlottesville after World War II. Congratulations to Mike Westley (Engr ’94), whose name was chosen at random from the number of readers who correctly identified this photo in our October 2009 e-newsletter. He wins a $25 UVA Bookstore gift certificate. September 2009 - Where Am I? 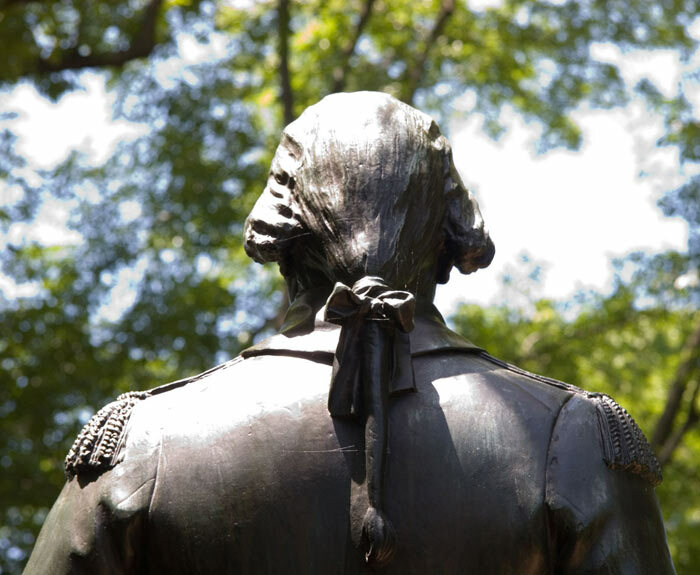 The photo shows the back of the George Washington statue located on the Lawn. Congratulations to Will Tate (Col ’05), whose name was chosen at random from the number of readers who correctly identified this photo in our September 2009 e-newsletter. He wins a $25 UVA Bookstore gift certificate. July 2009 - Where Am I? 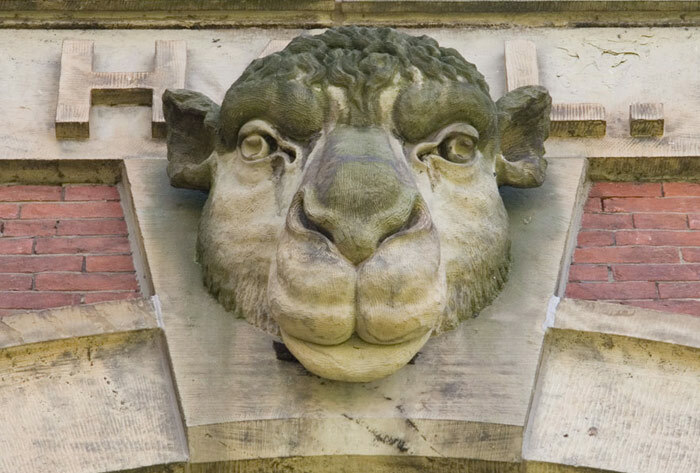 The photo shows an exterior detail, a chimera or gargoyle, on the anthropology building, Brooks Hall. Check out more “chimera” on Brooks Hall. Congratulations to Billy Farish (Maintenance Supervisor, Facilities Management Department), whose name was chosen at random from the number of readers who correctly identified this photo in our July 2009 e-newsletter. He wins a $25 UVA Bookstore gift certificate. 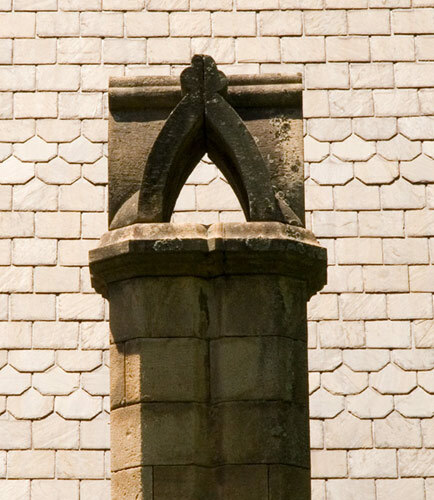 The photo shows an exterior detail on Randall Hall, located on the South end of the East Range, next to Rouss and Robertson halls. 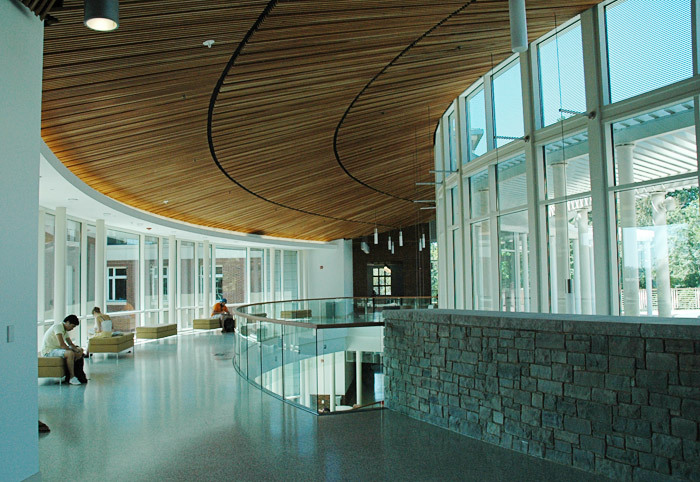 Congratulations to Gwen Kirk (Col ‘09), whose name was chosen at random from the number of readers who correctly identified this photo in our June 2009 e-newsletter. She wins a $25 UVA Bookstore gift certificate.